While a day in Mumbai is evidently abuzz with activities and the hustle and bustle of the crowds, even the nights here are far from quiet. The city that never sleeps witness the nocturnal souls creep out into the night to take on the city; be it to drown the Monday blues or loosen up on a Saturday night. 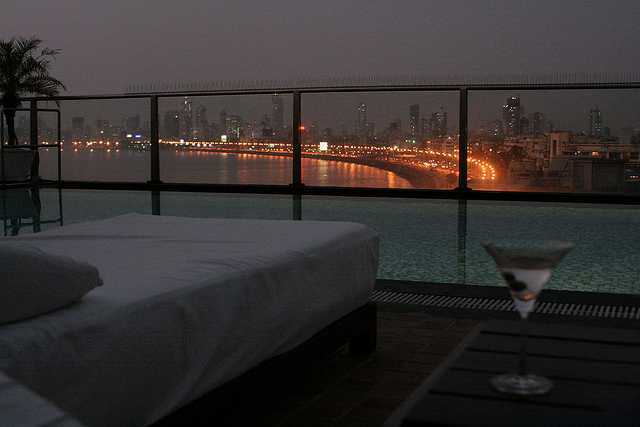 Undoubtedly, the city with the best nightlife in the country, Mumbai is steadily making its way into the list of top happening cities in the world, even the tourists whether local or foreign, don't miss to include - nightlife in Mumbai in their itineraries. A fabulous mix of music on the offering, food beneath the starlit open-air spaces to the delicious taste bites amidst the ground floor dim lights. An exclusive variety of wines to the shared six-pack crate of beers; Mumbai - has everything you could ask for. In a country, where regulations curb nightlife beyond midnight, don't be amazed to find some daring places thriving till the wee hours of the morning. Even as your night is culminating in the day and you crave food or something to kick-start your day, the open streets of Mumbai are sure to have something for you. One of the most popular hangout place in Mumbai at night for the general public, Café Bars with an easy, laid-back attitude and a perfect place to unwind with a couple of friends after a long day. They offer an excellent combination of good on the go food with warm coffee for the day or chilled beers for the late evenings. Many café bars are popping up in the city. However, two of them stand out partly because of their impressive menu and partly because they have been around for long enough to be an institution in themselves. Café Leopold, one of the city's oldest and most loved cafe situated on the streets of Colaba Causeway, sees a motley mix of locals and tourists every day. Having survived the attacks of 26/11, the place is still going strong. Café Mondegar, on the other hand, is best known for the delicious variety of food it offers combined with continuous music pumping in the almost retro ambience; their Burgers are a must try. The Daily and Glocal are some of the recent additions to the Nightlife Scene. Bandra Some recent Another must try bar is The Bar Stock Exchange. With the ambience inspired by a stock exchange. Varying liquor prices like dynamic stock exchange is what makes this place even more exciting. Make sure you are properly dressed up while you visit this place! Anti-social is a premier live music venue in the city and has an impressive line-up of local and international artists. It has become an integral part of the Nightlife in Mumbai. Jazz, pop, electronic music to blues, it has covered everything. 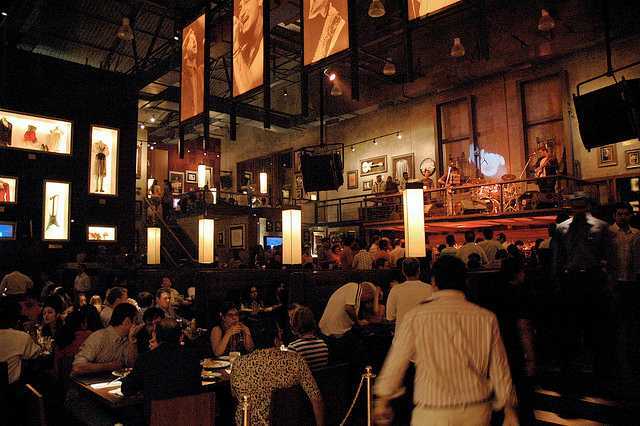 Hard Rock Cafe is another such spot located in Lower Parel, famous for its live music. Razzberry Rhinoceros, after a four-year-long hiatus, has made a comeback and has soon caught up and made its way to be the best live music venue in the city with regular live rock, blues, and electronic music; this beautiful place attracts both local and tourists for an evening of some scintillating music. Nightlife in Mumbai has no dearth of Pubs and discotheques, so when it comes to shake a leg, you're left spoilt with choices. The most happening spot for the early twenties is the Tryst, where you need to be that young to keep up with those incredibly fast beats, music shuffles from Hindi to English songs but never loses the tempo. While Escobar in Bandra is where the dance floor shakes up to the beats of the latest Bollywood music. ?Hype? the similar version of the Tryst and Escobar, sees a slightly more mature but enthusiastic crowd, it's where you frequently find some of the TV celebs. Kitty Su, Trilogy, China House, LIV Tote on the Turf are places with high glamour quotient where fashionistas and the who's who of the town are to cocktail while. Retro-bars are the popular restaurant bars where you are rescued with cheap food and liquor. They are mostly frequented by college goers or anyone who doesn't want to make their pockets lighter. Janata's Lunch Home is one such famous haunt that the youngsters swore by, a good meal and beer at affordable prices from noon to 3 am; it is one of those few places that are open till the wee hours of the morning. 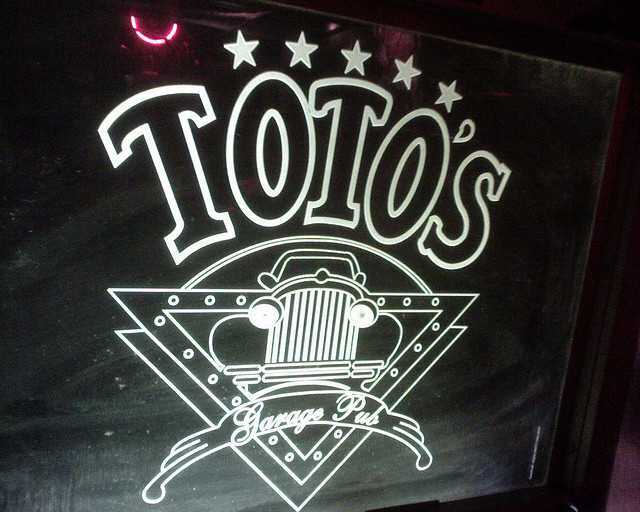 Toto's Garage, on the other hand, is more like the post-dinner hangout where the neon-lit bunker of a Volkswagen Beetle is hung up above the Bar with number plates and bonnets on the walls and the DJ stationed in a Maruti Van, it is where the happening crowd of Bandra gathers, and the place is almost always crowded. Laxmi outside IIT Powai is what where you can spot them IITians hanging out. Some amazing start-ups are a result of the ideas discussed over a pint of beer at this place. Gokul in Colaba is a chilled out spot where you can grab some mouth-watering bites with beer and cocktail. For the elegant, sophisticated crowd of the maximum city, there some world-class wine and dine and bars in the country. 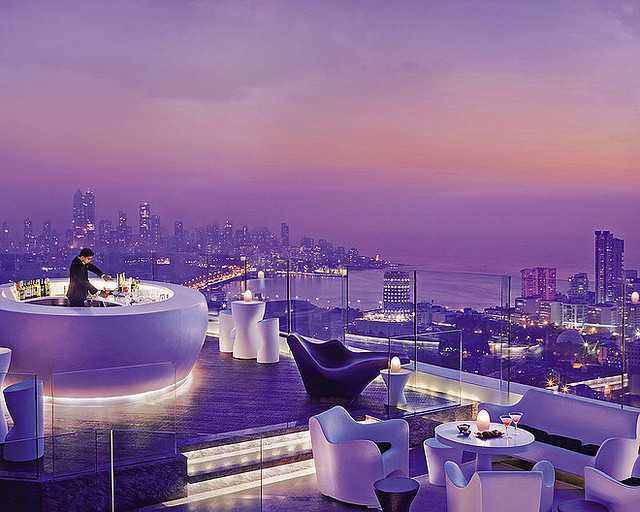 AER - the rooftop bar of the Four Seasons hotel has an inviting ambience of open-air seating overlooking a panoramic view of the city. An ideal place to enjoy a cocktail while looking out cocktail while the DJ spins some lulling music. Dome - another rooftop bar near Marine Drive is as popular for its fantastic view of the Queen's Necklace as it is for excellent choices of cocktails, food and even cigars. While Olive at Pali Hill, Bonobo at Bandra engages the locals with their endearing interior, music and an appealing menu reflecting the uber-elegant crowd of South Bombay. Some 5-star restaurants in the city also offer Midnight Buffets at Hilton, The Orchid, Renaissance, The Earth Plate to name a few. The calming sea fronts of the city Marine Drives, Carter's or Worli Sea-link ? are the real jewels of the nighttime in Mumbai. While the clubs and fancy cafes on one side, nothing comes close to a drive along Marine Drive or the Sea-link or walk at Carter's gazing out at the calm sea. And when it comes to food, you'll never be lost for options in Mumbai, with practically a Cutting Chai stall in every nook and corner of the city, your hunger would be satiated at any time of the day or night with Cutting Chai and a Vada Pav or two the staple diet of the city! There also are a host of late-night food joints in Mumbai scattered around the city that works the night shift like many of the people here. 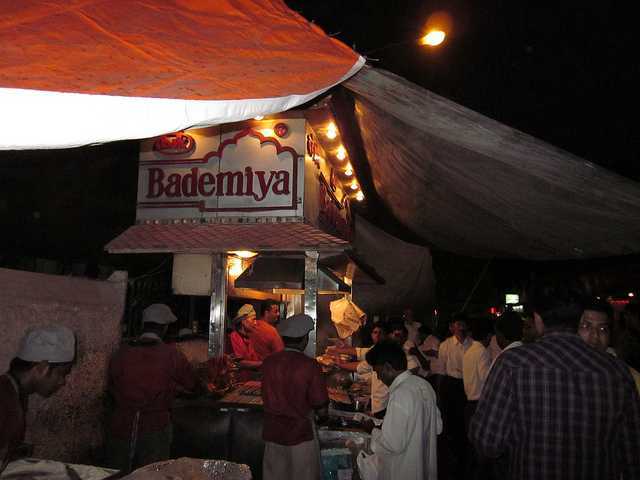 While Bademiya of Colaba is the more famous, Ayub's of Kala Ghoda is a small restaurant similar to it but with a roof on top both serving delicious non-vegetarian food. The vegetarians don't fret, Amar Juice Centre at Ville Parle is famous for it's Pav Bhaji along with pizzas, rolls and sandwiches. Then there are desserts too, Bachelorr's on Marine Drives has the unbelievable range of ice-cream varieties, juices and shakes. Famous for their spicy green chilli, flavoured ice cream and chocolate shakes, it has a happy crowd gulping down the ice -creams even 4 am! Doolally Taproom in Bandra West, Andheri West and Kemps Corner is the favourite brewery of all Mumbaikars and visitors alike. It serves the best range of Craft Beer. Therefore it is a delight for all the Lager Lovers! White owl in Lower Parel, British Brewing Company in Goregaon East, Independence Brewing Company in Veera Desai Area and Toit in Mathuradas Mill Compound, Lower Parel Mumbai, Lower Parel. Barking Deer in Lower Parel is another favourite brewpub of Mumbaikars. The breweries usually shut down at 1 AM. We love these places at night while roaming on the roads in Bombay. 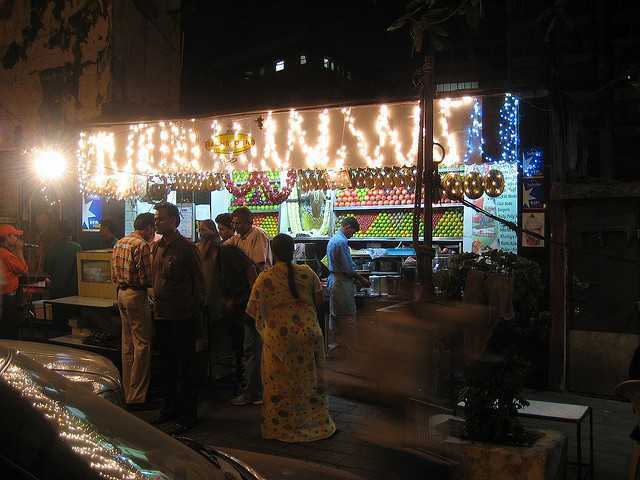 What are your favourite hangout places in Mumbai at night? Chhatrapati Shivaji International Airport Named Best Airport By Size And Region!